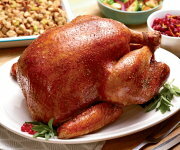 Organic Prairie meats are produced by our independent cooperative of organic family farms. We are pioneers of the organic meat industry. We began producing our delicious meats—without the use of antibiotics, synthetic hormones, or pesticides—back in 1996. 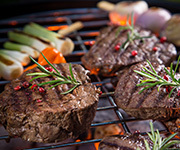 We insisted on third-party organic meat certification long before federal organic standards were established. We were the first in the industry to ban animal by-products from our cattle’s diet. And we played a vital role in shaping federal organic meat certification standards—the strictest in the industry. 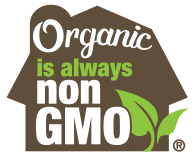 Organic Prairie farmers are committed to providing your family with the healthiest, most wholesome meat, raised humanely in accordance with organic principles and practices—respecting the dignity and interdependence of human, animal, plant, soil and global life. We know that meat produced organically is the safest, best choice for our families, and we’re proud to make it available for yours to enjoy! 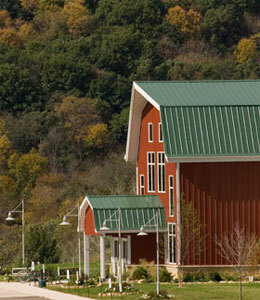 To learn more about our cooperative, please visit www.farmers.coop. 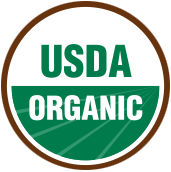 As pioneers of organic meat, we take pride in going above and beyond the USDA Organic standards. Learn what separates Organic Prairie from the rest.